The Hunt for India’s most loved Snackstar is on, at Snexville since the last fortnight. Where or what is that, you ask? This is India’s (or the World’s?) first Snack Reality Show where users vote through 5 rounds for their favorite snack – That’s Snexy! There are 7 tempting snacks fighting for fan attention through 5 rounds. You can vote for them and rate them on a rating meter and share snack postcards with your friends or share your vote on Facebook Page. 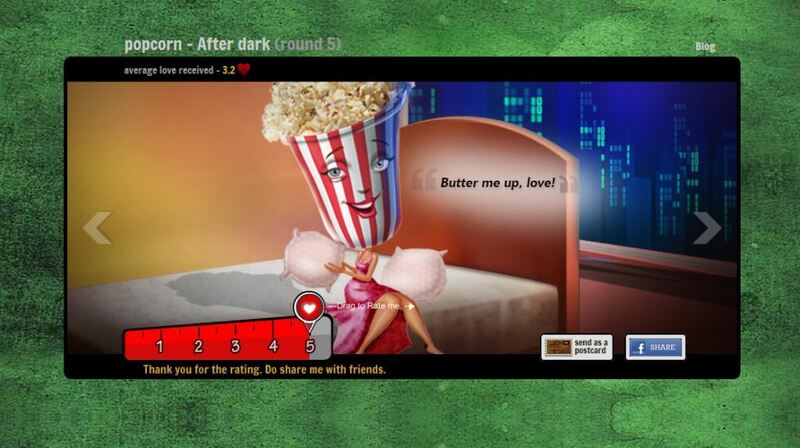 The site has some adorable snack characters with fun one-liners across different scenarios that form the 5 rounds e.g. on the move, at work, after dark etc. There is a blog and loads of irreverent content, posts, daily contests, poems and the works to keep users engaged. This is a new campaign from Britannia which is essentially a digital teaser for their new range of ‘Nutrichoice Multigrain Thins’. This is a great concept and execution from Experience Commerce. Kudos to Britannia for trying something novel. Very rarely do you see so much rigor going into a teaser. Super stuff! I am looking forward to the crowning of the 'True Snexy' already! It's really nice to see such a great review of "The Hunt for the True Snexy" campaign on your site! Glad to know that you appreciate the effort from our whole team. Thanks and Congratulations to your team! I really liked the execution.